How do I know if my child is ‘right’ for the 11+? The most important attribute for any 11+ student is a willingness to ‘give it a go’, a sense of self-motivation and a willingness to work hard. We welcome students of all abilities and will always be honest in our assessment of their likelihood of selective exam success. 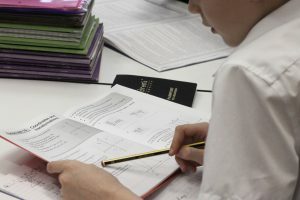 Our ongoing assessments will give you an accurate picture of your child’s progress and attainment levels and this, combined with our highly experienced tutor feedback, will help you know if your child is ‘right’ for the 11+. Similarly our popular 11+ Mock Exam Days give your child a great opportunity to test their skills under exam conditions on previously unpublished 11+ Papers. All children sitting an iAchieve 11+ Mock Exam get a written report on their results as well as comparative data that shows their percentile scores against their peer cohort. The skills developed whilst on the iAchieve 11+ Programme are highly transferable and will stand your child in good stead for the transition to secondary school.